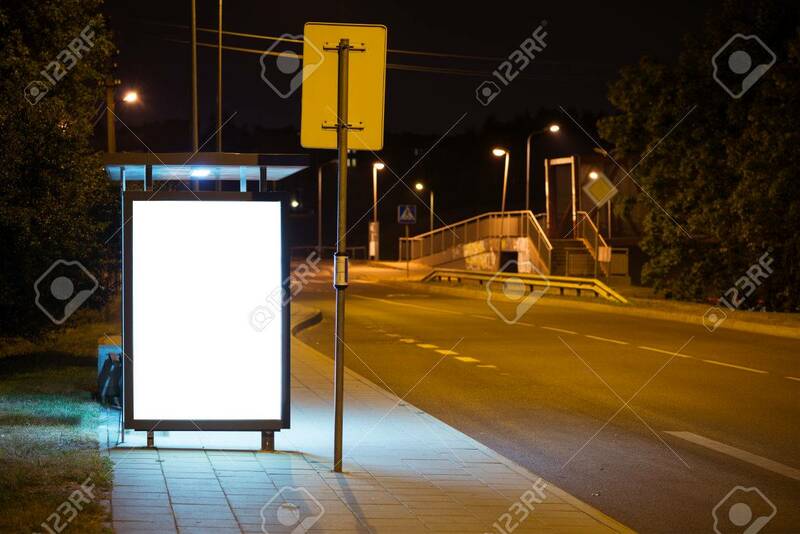 Blank Bus Stop Advertising Billboard In The City At Night. Stock Photo, Picture And Royalty Free Image. Image 48055091.